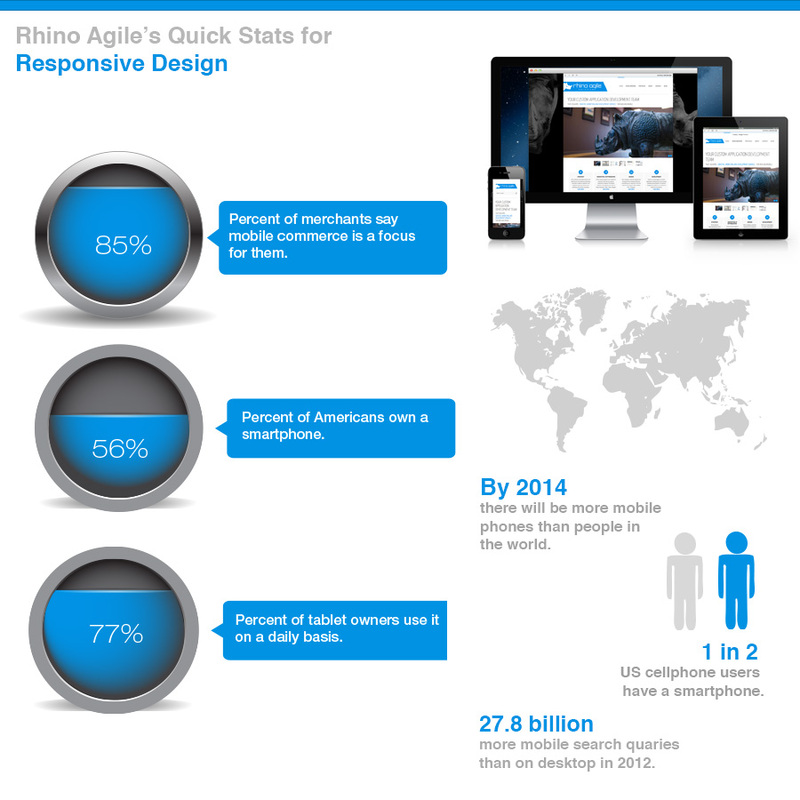 Is your site responsive? Why not? This trend is here to stay. Sales of iPhones, Android, Samsung, and other smart phones hasn’t slowed down. Sales of iPads, Windows Tablets and anything similar is going strong. It’s likely that you, or someone you know has purchased a mobile devices within the past 24 months. You might be reading this sentence on a mobile device right now! With the world of mobile devices increasing on a daily basis, more and more users are accessing your website presence on screens of various sizes. Make sure the information for your services and products are optimized across everyone’s handheld device. 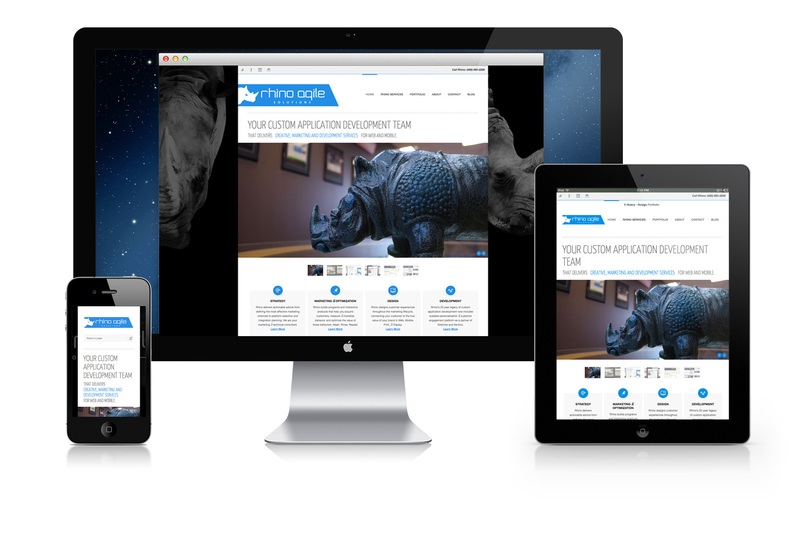 Responsive web design is aimed at ensuring users receive the optimal experience. It creates a website that works brilliantly across all mobile devices. Here’s how to test it: If you are viewing Rhino Agile website on your home computer, try resizing the browser window. Try opening it on your tablet or smart phone. Notice the difference? Don’t delay redesigning your website and be sure to request that it is responsive. Keep in mind Rhino Agile team builds interactive products that assist you with acquiring customers, measuring and monetizing behavior, and optimization of the overall value.